The Crafting Boutique: BLOG CANDY GIVE AWAY!!! Hey Stacy. I just added the blog button to my sidebar. I also added a post about the candy. Congrats on the new store. Good luck, Stacy! I added the shop button on my sidebar! Stacy wishing you all the best!! im following and now i will post on my sidebar. Congratulations and good luck . I've posted on my sidebar and I'm a follower. Congratz Stacy! I added the button to my sidebar. PS comment moderation is much more user friendly than any code capture, PLUS the sight impaired can not comment. most people are not aware of this...their "readers do not recognize the codes as words and therefore do not read them. Thank you for the chance to play along. Your link is on my blog. HAPPY TO HEAR ABOUT YOUR NEW STEP.DONE ALL CRIETERIA.THANKS FOR CHANCE.DO WORLD WIDE FOLLOWERS HAVE CHANCE TO WIN? Congratulations on the shop opening! May God bless you with good business! I already a follower of this blog. 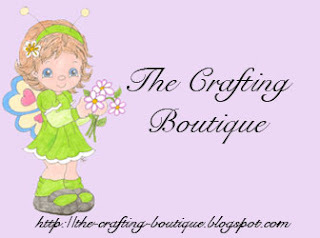 I posted your shop logo on my blog sidebar as well. We are neighbors, sort of... I live in Harrisville New Hampshire but I would much rather be living in Maine! I am crazy for Maine and the seacoast *sigh* Oh, and I have one kitty, Raphael (yes, like the painter) LOL! Anyway, I just became your newest follower and will add your badge to my blog and well, the last task of a comment is being taken care of now, LOL! i am a follower fotr a while an added the blinky for the sidebar. I've put it one my blog so i have a chance to win it. And good luck with youre store! Done and Done, thanks so much for the chance to win.! I just became a follower and post the badge in my sidebar. Wishing you success in your new business!!!!!!!! Hi Stacy - I entered your blog candy give away and posted your candy image and link to my blog - visit me at http://ilikepaper01.blogspot.com/ and look at the right side - scroll down to where all blog candy is listed - have a great week! Hi Stacy, I'm a new follower, just found your great blog! Congrats on your new store, I wish you all the best, I have added the candy giveaway to my sidebar with a link back to your blog. Thanks for the chance to win candy!!! Hi Stacy, just added the button to my sidebar! Congrats and wishing you luck! Hello Stacy! I just added the shop-button on my blog! Good luck! Just added the button to my sidebar!!!!! Hi, congrats !!! I am new follower and I have added your badge in my side bar.. Yes! Finally ѕomeone ωrіteѕ about anyone.